This book is aimed towards the beginner to intermediate fisherman. A Guide to baits and Rigs could be an ideal gift for someone just starting out and needs a little help on the types of rigs used and how to set them up. A rig is the the ‘business end’ of the setup, and a well presented rig with the correct bait will give you the advantage over the fish. There are many types of rigs for different conditions and fish species. 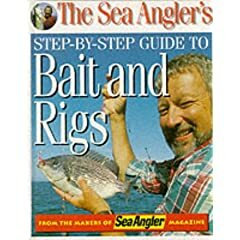 Bait presentation is also an important factor, this book demostrates on how to ‘bait up’ correctly to present the bait most naturally, and to ensure the bait stays in contact over long casting distances.